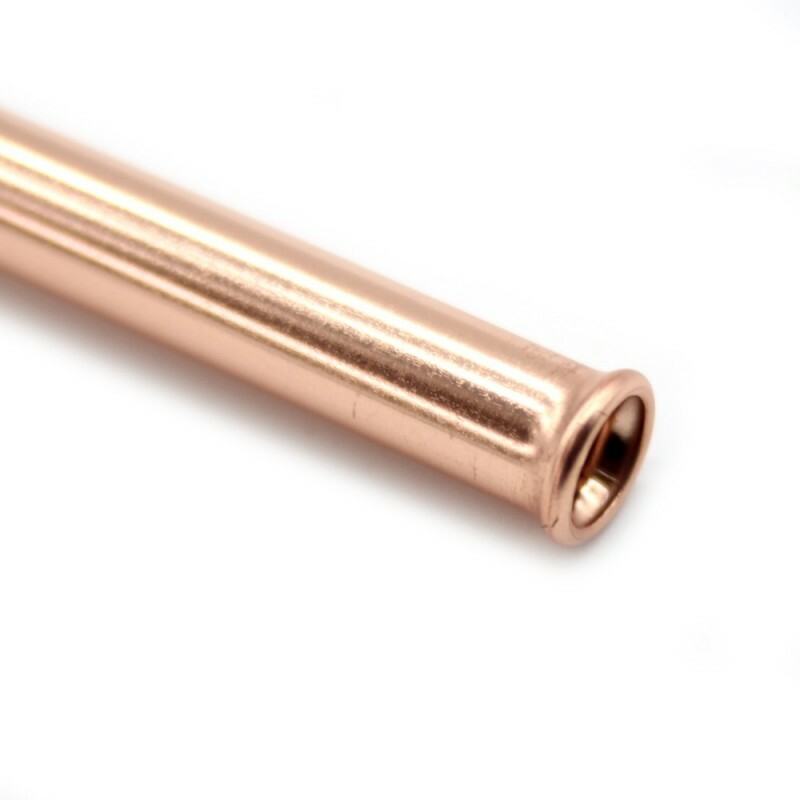 Rose gold applied with vacuum ion plating - produces less emissions and is more durable than electroplating. Price is for one straw. Add cleaning brush for $1.95. Our straws have zero packaging. 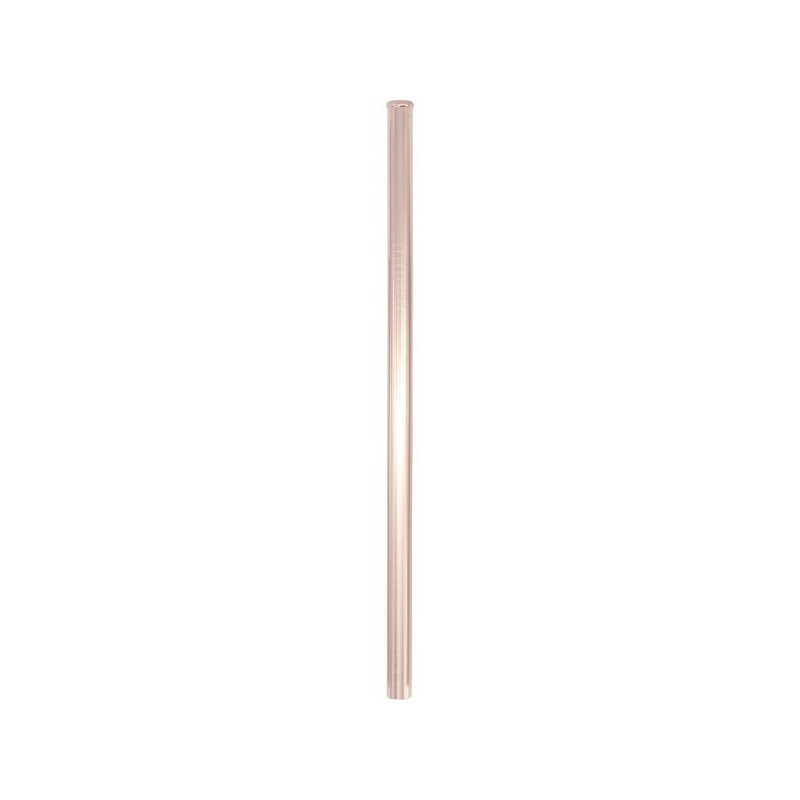 This straw is 9mm diameter, slightly wider than a regular straw, so is suitable for all liquids including smoothies. Made from 304 grade stainless steel that has good resistance to rusting. Stainless steel straws have the benefit of not breaking like glass straws and not degrading like bamboo straws. However, you do need to be careful when bringing a metal straw into your mouth as you can hit your teeth or lips and cause a small injury. The rounded end on these straws helps eliminate that potential harm. Even if no harm is caused, some people simply do not like the 'sharp' feel of the end of stainless steel straws. Made from high quality food grade stainless steel #304. Suitable for cold drinks - not recommended for hot temperatures. Before using, always wash straw inside throughly with a straw cleaning brush. Not suitable for children due to the rigid pipe and ends which may injure. Take care also with people with mobility difficulties. A stainless steel straw is not a toy! Do not let any children use unsupervised. Do not allow children to walk or run with the stainless steel straw. Anyone given a straw should be taught not to bite down on the straw as it may hurt their teeth or mouth. Do not walk or run with the straw. Available here are soft, flexible silicone straws for children. Approx. 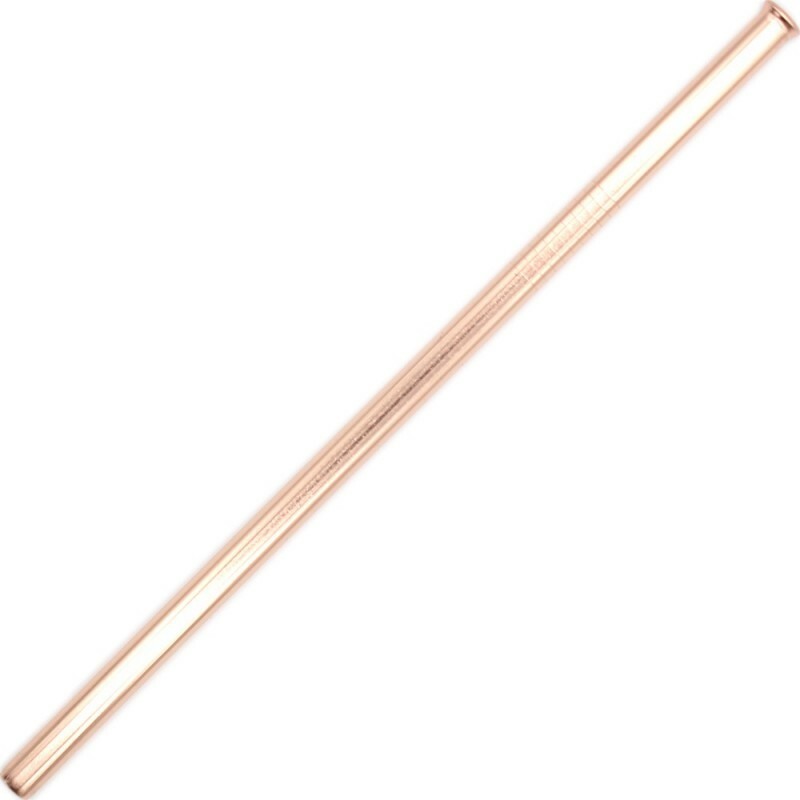 8mm diameter, 21.6cm length. Please note that these straws do not fit in the Ball Mason Daisy Lids. 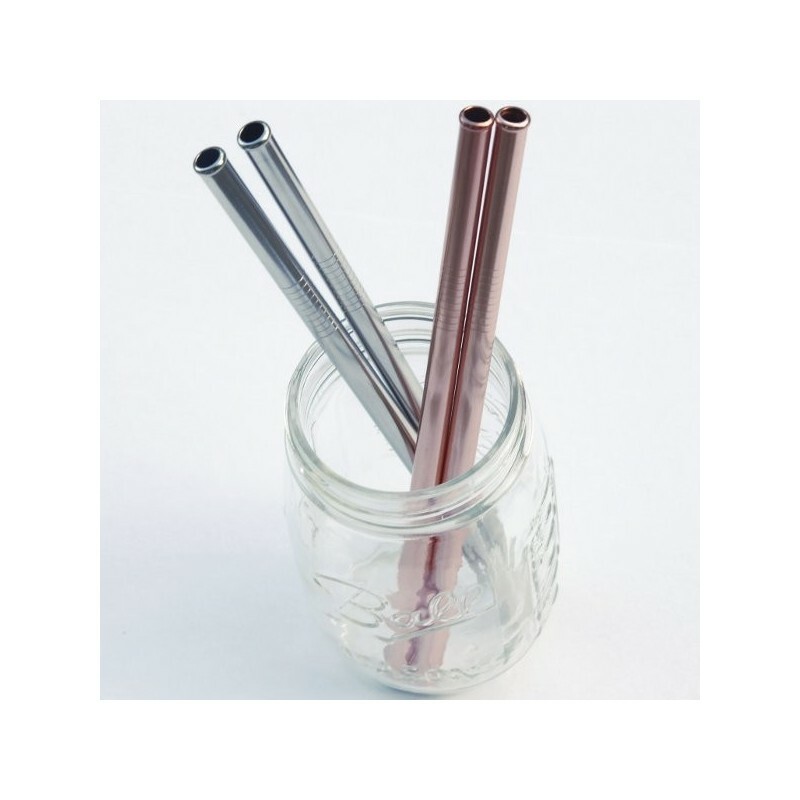 Reusable stainless steel straws help you reduce throw away waste of plastic straws and keep plastic straws from entering our rivers and oceans. It may or may not matter but I can't find any where it is said on this site where these straws are actually sourced from so I have no idea if it truly is a made in Australia or China product. Also despite it being rose gold paint applied with vacuum ion plating - (...) is more durable than electroplating, after a few weeks of use, the paint flakes off at the mouth end of the straw. I don't gnaw at my straw, the flaking doesnt occur anywhere else. what I DO do though is that when the straw is too short for my container, i lift up the straw with my teeth, Does that warrant the paint flaking off? I don't think so. I made the decision to stop using plastic straws and have been using these instead. I love these, they are easy to clean and lovely to use. Everybody should have some. I always carry one around and have been getting some strange looks at cafes when I ask for no straw. However I've found it's a great way to raise awareness about the problems of single use plastic and have converted a few other people to these straws. 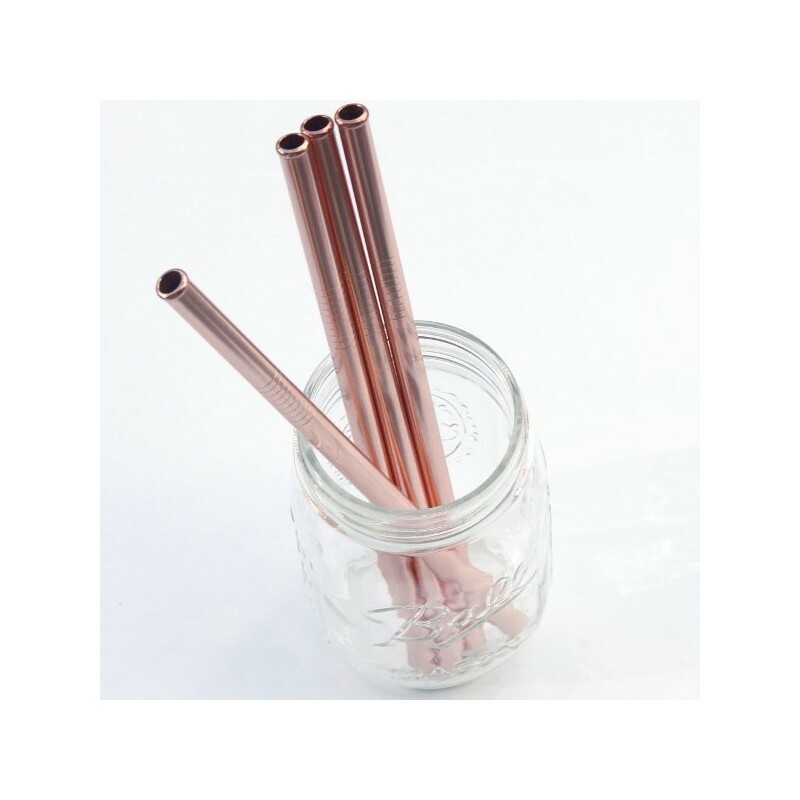 One of our collection of metal straws, lovely colour and rounded end is nice to use.